GE Personal Security Window/Door Alarm offer cheap and easy solution to guard your house. It will alarm you if any intruder enters your house through window or door. 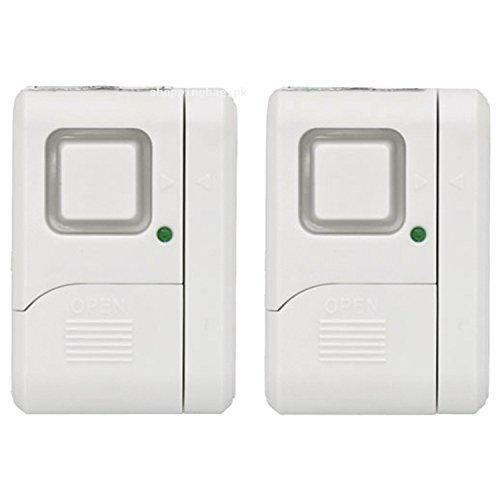 GE Personal Security Window/Door Alarm is available online in a pack of 2 Alarm. It can produce sound of up to 120dB which will attention you on any invasion. Buy GE Personal Security Window/Door Alarm in reasonable price from Online Shopping in Pakistan and get Amazon imported product in Pakistan. You will get your order Amazon quality product at your door on simple placement of order via Online shopping in Pakistan. Buy GE Personal Security Window/Door Alarm now and protect your house and family.